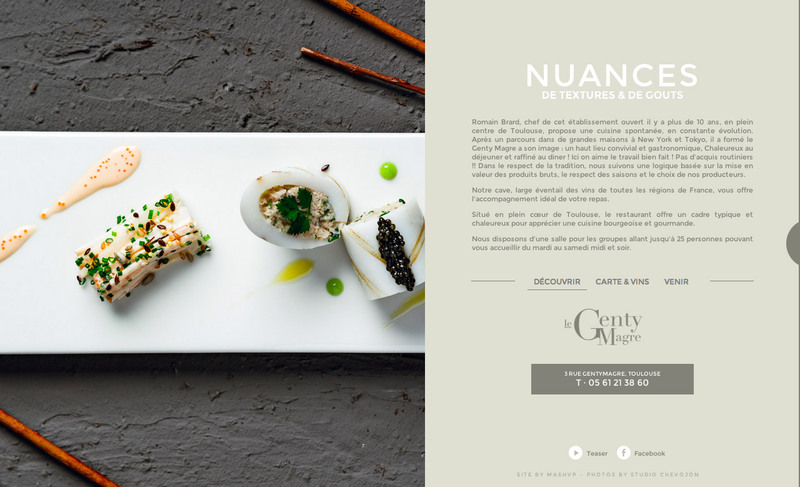 Unique multiple slider in this One Pager for the French restaurant ‘Le Gentymagre’. The food photography is as good as it gets. Minimal website with loader, fullscreen html5 video, slideshow, smooth transition and beautiful photographies.